Isabella Danks is a recent BSc (Hons) Midwifery graduate from the University of Wolverhampton. 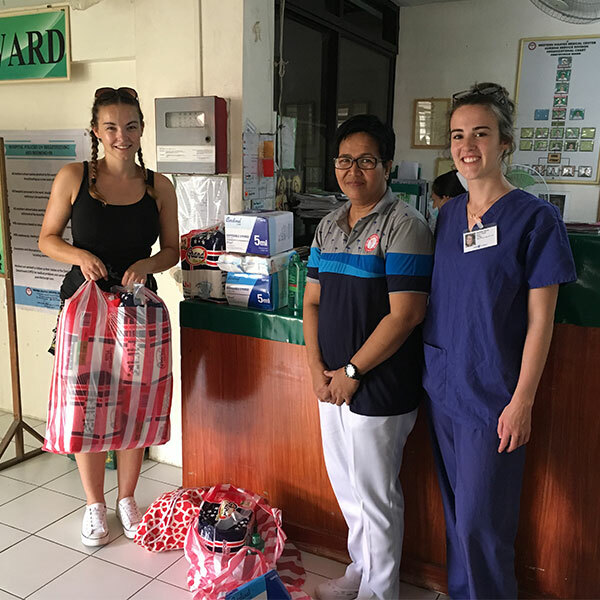 She recently travelled to Iloilo in the Philippines on a two-week midwifery placement – where some practises are entirely different to what we might consider ‘best practise’ in the UK due to culture, different education systems, and a lack of resources. As a third-year student midwife at the end of my training, I wanted to finish my course on a high. I took time choosing somewhere I knew would help my confidence grow. In fact, I wanted to focus on developing confidence in both my practice and in myself. After seeking advice from the team at Work the World, I chose Iloilo in the Philippines. I was aware that many hospitals in the Philippines didn’t have access to the same resources or equipment that UK hospitals do. I wanted to help the hospital buy supplies they were lacking in. I was advised to buy these supplies once in the Philippines rather than before travelling. Doing so would support the local pharmacy, and it meant I could buy items that hospital staff said were low in stock at that moment in time. When I arrived, staff told me the hospital was most in need of hand sanitiser, plasters, soap and syringes. These seemed, to me, to be such basic supplies. We wouldn’t see a UK hospital without them. We bought the supplies, and when we donated them, the nurse in charge was most happy about the hand sanitiser. It had been out of stock for a while. In the Philippines, if a woman enters the delivery room pushing, the local midwives tell them to stop. The midwives then apply pressure to the presenting part, preventing the baby’s descent until the doctor is ready to deliver. They are then expected to push on demand and given an intravenous therapy (IV) of the powerful hormone oxytocin to encourage contractions. If a woman does not push, the doctor applies fundal (uterus) pressure. One woman lay in the lithotomy position (in which the patient is on their back with the hips and knees flexed and the thighs apart) and the doctor knelt with his knees by her head. He exerted his weight onto the woman’s abdomen, applying fundal pressure as a second doctor delivered the baby. They performed a four-cut episiotomy, then the baby was born. The whole process took 12 minutes, including the delivery of the placenta and suturing (stitches). They then sat the woman in a wheelchair ready to be taken to the postnatal room. Birth partners aren’t allowed in the delivery room in the Philippines. Nor are they allowed into the newborn observation room. The latter is where babies were taken immediately following delivery. Following the delivery I wrote about above, I took the baby to the observation room. When we arrived, the baby’s dad was peering through the glass, eager to catch a glimpse. I noticed him, so lifted up his baby for him to see. He gave his newborn son that familiar ‘proud dad’ look you often see at deliveries. He mouthed ‘thank you’ to me as I stole a cuddle with baby. There were, of course, times when the placement was emotionally challenging. For example, there was a high number of babies with fetal abnormalities. Local staff told me that fetal abnormalities were common at their hospital, as most high-risk women were referred there. Having staff and other students in our accommodation made it easy to discuss what we’d seen or done that day. Another great way to decompress was taking weekend trips around the Philippines! One weekend we travelled to Cebu. 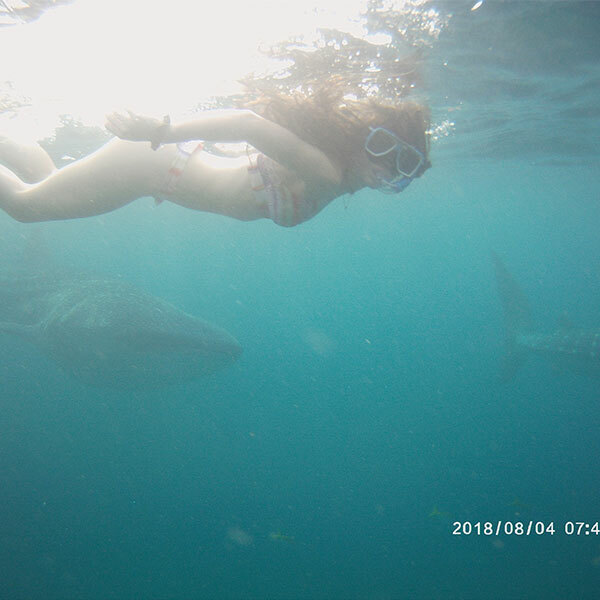 While we were there, we swam with whale sharks at sunrise, went canyoneering through waterfalls, and enjoyed traditional Filipino food. The following weekend we went to Antique. We went on a whistle-stop motorcycle tour to see some of the Philippines’ most beautiful scenery. The locals were welcoming and often wanted to take selfies with us. They asked us lots of questions about life in England too. I fully embraced my five minutes of fame. I massively developed both personally and professionally by participating in my Work the World placement. I only wish I had been there longer than two weeks. 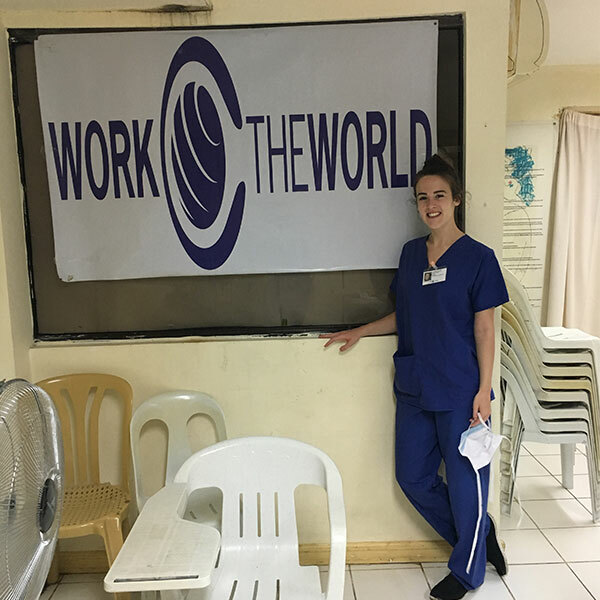 If you choose to go on your own overseas nursing adventure, you won’t regret it! 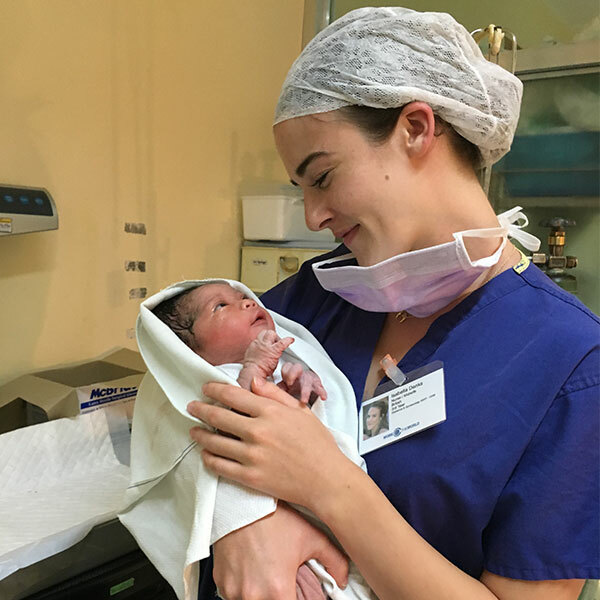 Work the World specialise in tailoring overseas midwifery placements in Asia, Africa and Latin America. Their destinations provide eye-opening insight into the challenges associated with delivering healthcare in the developing world.